WhatsApp has long been rumored to be working on a peer-to-peer payments system to facilitate fund transfer between two WhatsApp users. 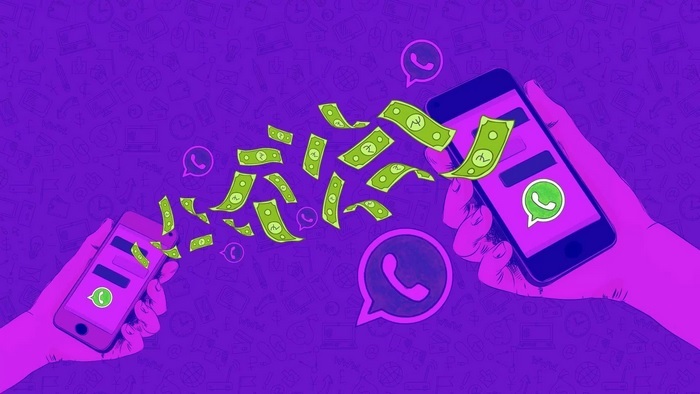 Those rumors appeared to be just rumors, until now, as a new report from the Economic Times states that WhatsApp’s highly-anticipated payments feature might go live in February this year if insider sources are to be believed. The company would be integrating UPI (Unified Payments Interface) to enable the service. Information received from different sources suggests that the Facebook-owned platform is giving finishing touches to the payments system, and will roll it out for the masses as soon as the necessary security parameters have been evaluated and verified for efficiency. The platform is already in beta stage (testing) with one of its partner banks. We expect the product to go live for consumers by the end of February, depending on how the trials work out. WhatsApp is reportedly in talks with top Indian banks such as State Bank of India (SBI), ICICI Bank, HDFC Bank, and Axis Bank for the first stage. Additional insight into the latest developments was provided by a source at one of the partner banks. The source revealed that security assessments are currently being carried out to ensure data safety, and make sure that sufficiently strong layers of encryption are applied to make the platform safe and secure. To be able to send money as easily as a text message involves ensuring various levels of encryption to keep the data safe. UPI, by itself, also has a complicated settlement mechanism between various banking partners. These issues need to be attended to before the product goes live. WhatsApp is supposed to act as an agent for authenticating the identity of the sender and the recipient as well as their respective bank accounts, the rest will be managed by UPI. WhatsApp’s payments facility is expected to provide a huge boost to digital transactions in India, primarily due to two factors i.e a huge user base and the ease of transferring funds through a familiar messaging platform.